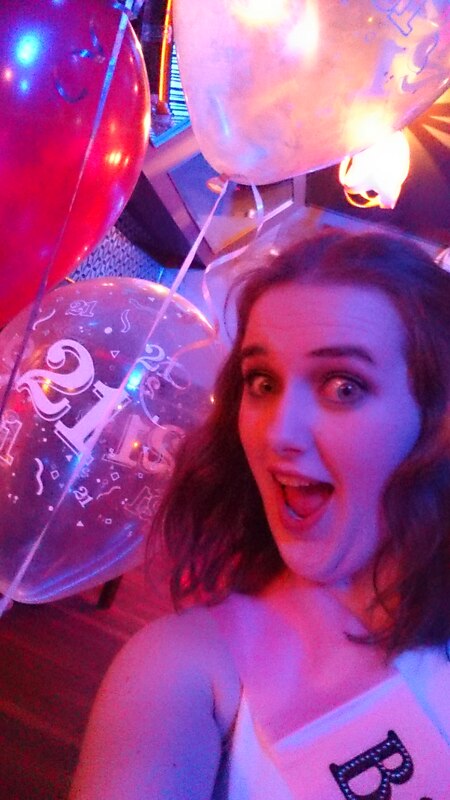 Although I don’t actually officially turn 21 until Tuesday (17th Feb) I decided to start the celebrations early and have a party with all my friends and family. So as I was away in another country there were many phone calls between me and mam planning everything we needed from venue to decorations and invites. 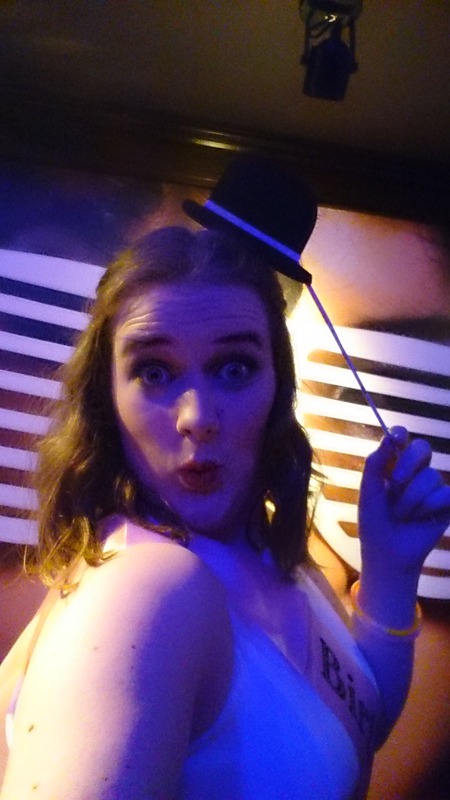 I have to say that it all went down without a hitch and an amazing night was had by all. It was great to see all my family and friends who I hadn’t seen since Christmas or for some even longer and just catch up and celebrate. We hired out a room , got balloons , party poppers and glow sticks because what is a a party without glow sticks and party poppers. Along with this my sneaky mam and cousin had put together some boards of photos of me from my childhood until now which was slightly embarrassing as I looked back but a nice thing to have at the same time. Along with these decorations I decided to make my own DIY Photo booth as I love photo booths at parties but they are just too expensive so I decided to make my own. I got skewers and wrapped them in Wasi tape to make them look more colourful and pretty. 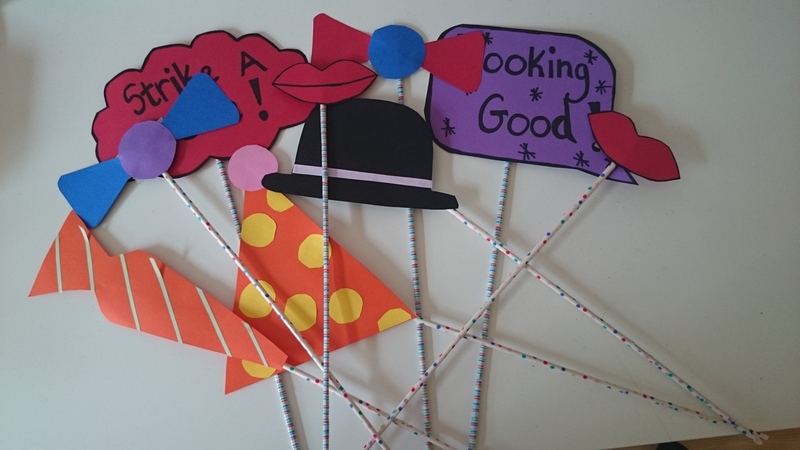 Then I cut out loads of different prop ideas from card such as lips, moustaches , hats and bow-ties and then stuck them onto the skewers. 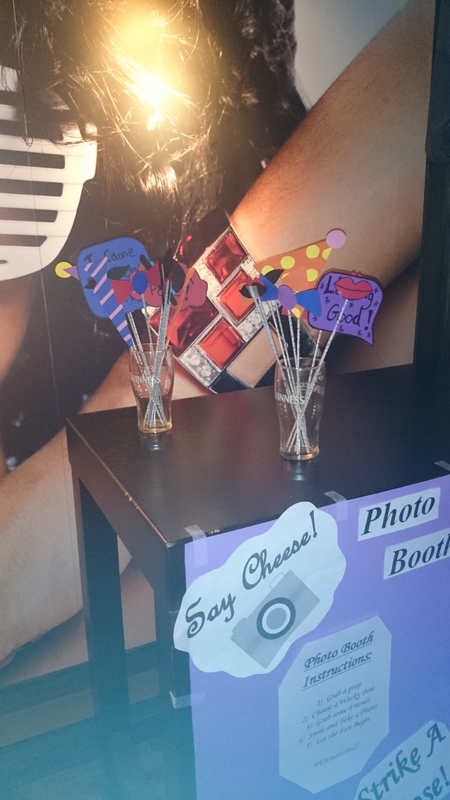 I also made a photo booth sign with some instructions on it. After this I just need a table in the room to put them on and some pint glasses to hold all the props and it was a go. Everyone seemed to really enjoy it and some great photos were taken. I just left my phone on the table so people could use it to take pictures or they could use their own phones and cameras. 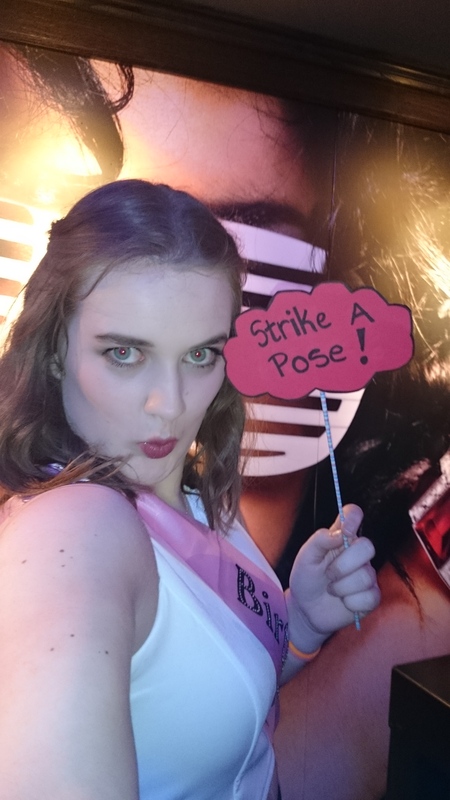 Of course many a selfie were taken my me with all of the props. It was great to spend the time with all the people I love and I was so happy that two of my friends from Erasmus were also able to come too and it was quite funny as everyone knew who they were from my Facebook photos and Blog posts. 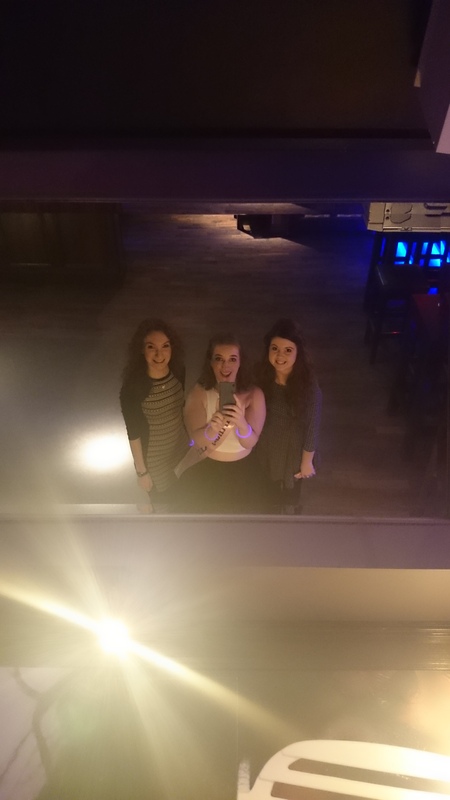 We spent the night dancing and were the last ones on the floor until the final songs. The traditional 21 kisses ended in my face being covered in lipstick but it was fun and I also had to make a speech which was the most awkward thing as I can’t do speeches but that was over quickly and it was time for CAKE! My aunt has her own business Lily Belles Cakes and she makes amazing cakes for every occasion. Mine was a chocolate biscuit cake which everyone was raving about by the end of the night even the barman who we gave some to. 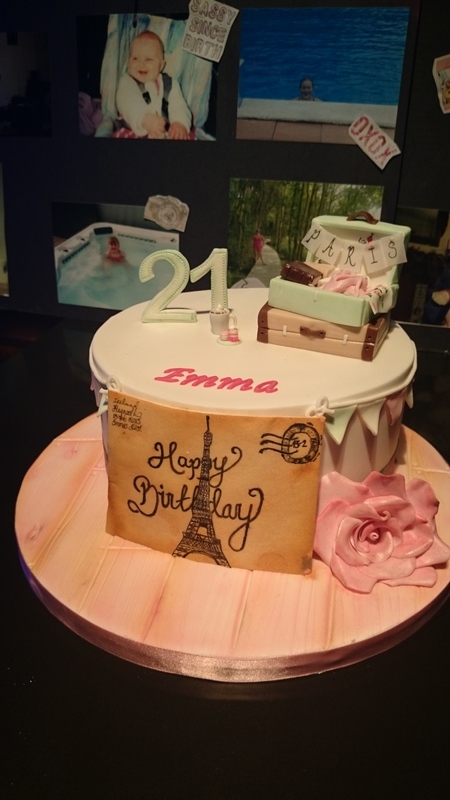 The best thing about the cake was the attention to detail that was on it, my aunt had put everything I love onto it from handbags to hot chocolate to ballet shoes , it was really my interests in cake form which was amazing. 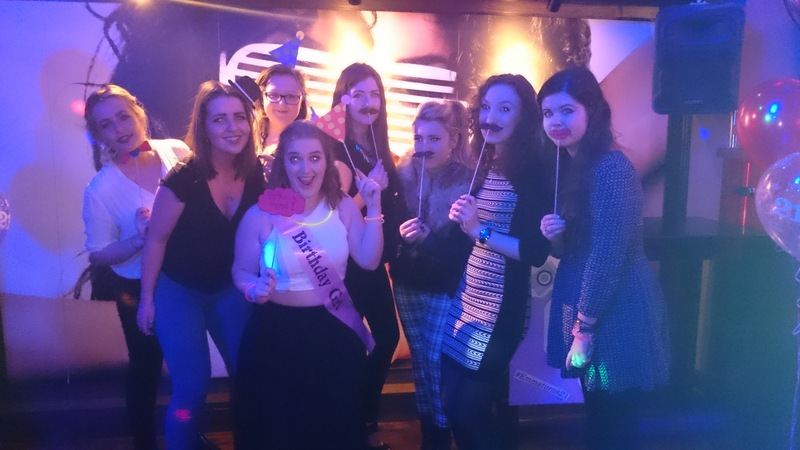 I had such an amazing night and was truly spoilt by everyone so thank you.